Okay, so not just any coconut water. 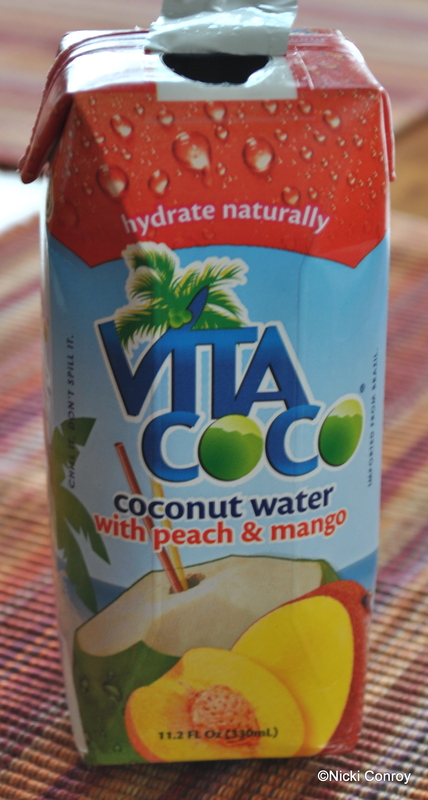 I want to tell you a bit about Vita Coco Coconut Water. You are probably thinking I have lost my marbles. I have to tell you when I first read about coconut water on Runner Dude’s blog, I hesitated. I don’t like coconut. I don’t like it shredded on cakes, in foods, in drinks like, say, a pina colada. I go out of my way to stay away from these items. While I am not a huge fan of straight sports drinks, I do realize that the replacement of electrolytes is essential. I cannot do this with other drinks and sometimes, the heat and the intensity of the run have just made wanting to eat veggies and fruits impossible. I have managed, to date, using GU energy gels, Jelly Belly Sports Beans, and low-calorie G2 – a Gatorade product. Then, I read Runner Dude’s information about coconut water. It has no added sugars. This is a big plus because it is the added sugars in the sports drinks that disagree with me. Coconut water has five essential electrolytes in it that need to be replaced. The largest electrolyte in coconut water is potassium. You will frequently find athletes eating bananas to help get potassium. Coconut water has 15 times more potassium than a banana. I sweat a lot. The word should probably profusely. If it is over 50F out, my clothing – whether wicking or not – is going to need to be wrung out when I get home from a run. I have had cramping issues in my legs during one race to date. After that race, I started getting myself more hydrated, if possible. I did not try the 100% coconut water without another flavoring in it. I was overly concerned about the whole taste of coconut. 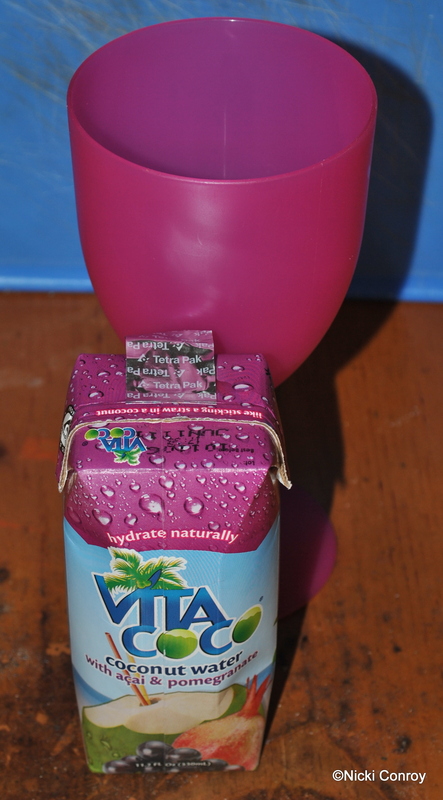 My first forays into coconut water were with two different flavored versions from Vita Coco (you can follow them on Twitter at @VitaCoco). I am a pomegranate fanatic so the pomegranate one was first on my list. There are 20g of sugar in this but also plenty of electrolytes. I loved the taste but highly recommend it be served cold or over ice. My second try was the peach mango flavor. This seemed a bit thicker. I do not think I could drink this while running but after definitely. I strongly suggest you try Vita Coco Coconut Water. I haven’t found any other brands locally and purchase this at Wegman’s. I tried coconut water for the first time after I nearly passed out during my early hot yoga days. I felt like a million bucks afterwards! I love the fact that it is natural. Wegmans. Oh sweet Wegmans. I went to undergrad and graduate school in Western New York, where Wegmans are practically on every corner. Moving back home to the capital distract was definitely marred by the fact that there are no Wegmans around. Best grocery store EVER! I wasn’t sure I could get over the coconut part of coconut water. I do love it, though. I would guess up in the capital district Wegman’s doesn’t want to compete with Price Chopper. I would choose Wegman’s every time. I have heard a great deal about this coconut water… It has a lot of great benefits.. I might just have to try it out and then pass it along to my readers if I like it. Thanks for stopping by, Hannah Katy. I will say that I love coconut water. I would highly recommend it.